Chinese Premier Li Keqiang on Friday sent a congratulatory message to Imran Khan on his election as Pakistan's new prime minister. In this handout photograph released by the National Assembly on August 17, 2018, Pakistan's newly appointed Prime Minister Imran Khan (C) addresses the lawmakers after been elected by National Assembly in Islamabad on August 17, 2018. 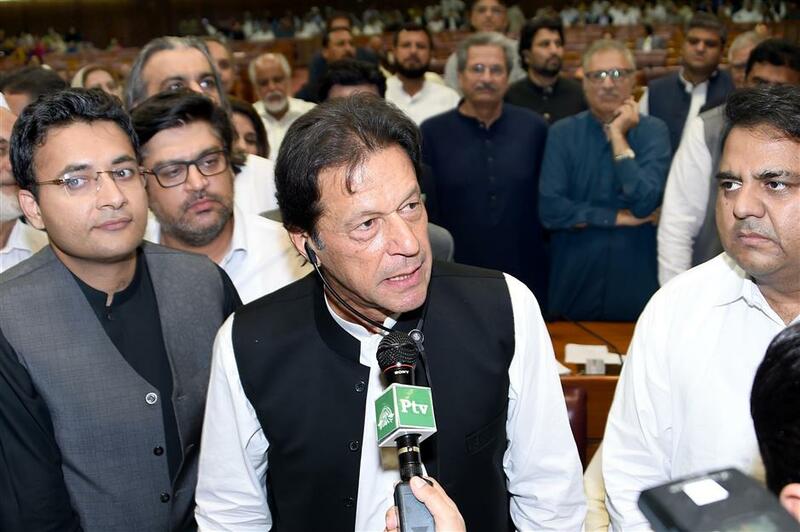 Imran Khan was elected as the new Pakistani prime minister on Friday in a polling held by the National Assembly, or lower house of the parliament. He will be sworn in as the 22nd elected prime minister on Saturday.